If you’re launching an SEO or PPC campaign in a new market, it’s best to avoid keyword translation. Here’s why international keyword research is a much better strategy. When you’re paying for every click – or optimizing your site – it’s important to target the right keywords. Every digital marketer knows the importance of keyword research in building out SEO and PPC campaigns in their home market. But when it comes to international, often that strategic thought process goes out the window. They translate their existing keywords and hope for the best. This approach might result in a list of keywords, but it won’t necessarily be effective. Brands with tight budgets are often tempted to opt for keyword translation, rather than investing in keyword research. This strategy might save time and budget in the short term, but it will ultimately lead to poor performance and a higher cost. Let’s say you’re targeting the keyword “loyalty card” in the US. It’s got a high search volume and you’re ranking well. While this isn’t in itself inaccurate, keyword translation gives you only one target-language keyword per source equivalent and no indication of search volume. “Treuekarte,” for example, receives only 260 average searches per month on Google. Because pure keyword translation rarely involves the use of tools like Google Keyword Planner or Google Trends, you’ll have no idea whether your translations have search volume. International keyword research carried out by in-country experts yields better results. 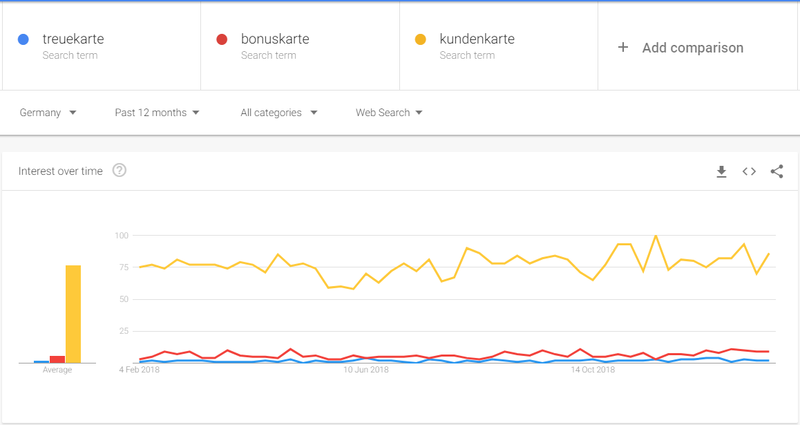 For our example above, “Bonuskarte” (bonus card) is a far more relevant search term, receiving 1,000 average monthly searches, while “Kundenkarte” (customer card) gets 2,900 and is a clear winner. Although all three terms have the same meaning in German, the literal translation of “loyalty card” would have reached the smallest search audience. Identifying search intent is crucial for both PPC and SEO. But a simple list of keywords won’t help you understand why your customer is searching for loyalty cards. If your target keyword is too broad, it can quickly eat into your PPC budget with useless clicks. A 2016 audit of 2,000 Google Ads accounts showed that on average, 9% of a company’s keywords were responsible for all their conversions. The same is true for SEO – if your keyword is too broad, your site may be visible, but potentially to the wrong people. In both cases, improving your keyword quality can have a dramatic effect on search campaign success. While this seems a basic concept, it’s a potential point of failure for clients and agencies looking to go international. That’s why international keyword research – carried out by a local market expert – is so important. Without it, your brand could be missing out on the most popular and relevant keywords. French is an official language in 29 countries, Arabic in 27, and Spanish in 21. People in these countries may speak the same language, but search trends and terminology in these markets are very different. That’s why a generic keyword translation into French won’t cut it. To be effective, your keyword research needs to reflect local search preferences. 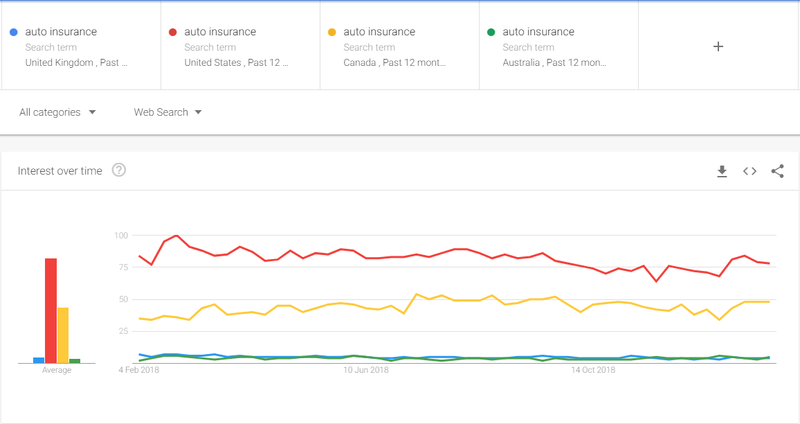 For example, “auto insurance” is rarely searched for in the UK or Australia. But it’s common in the US and Canada. 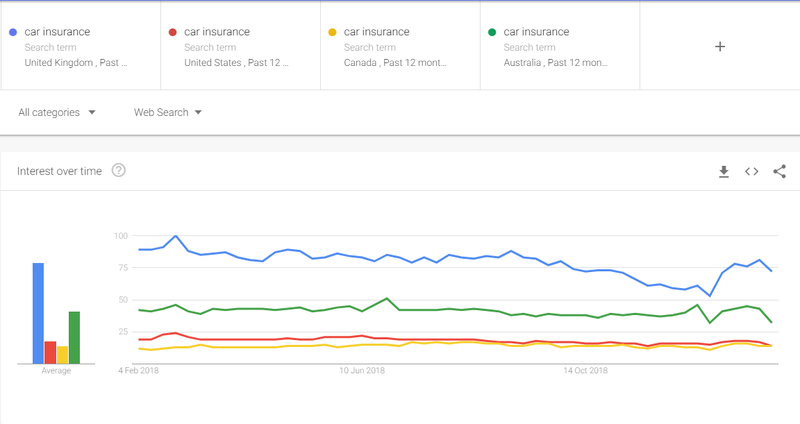 Conversely, “car insurance” is popular in the UK and Australia, and not in the other two countries. Even though all searches are in English, the most relevant keywords differ across regions. Local keyword research allows you to get more granular, so you can get the right results for each target market. Google controls around 90% of the global search market. But local search engines dominate in particular countries. For example, Baidu has 70% of the Chinese market, and Yandex covers 54% of the Russian market. A one-size-fits-all approach to global search is unlikely to yield results – your keyword research should meet the requirements of each target market’s popular search engines. Search is also moving beyond traditional search engines. In 2018, 54% of US product searches began on Amazon, compared to 46% on Google. Of course, you’ll want to advertise on the sites your customers use. This means SEO and paid advertising on marketplaces and social media sites will likely increase – and they’ll require a different strategy. Keyword translation alone won’t yield the international search results you’re trying to achieve. Translated keywords can cost you more in the long run – in a weakened competitive position, wasted clicks, and lost conversions. Instead, make sure your global search strategy includes international keyword research. To maximize results on budget, work with local, in-market experts or a global search partner to capture the most relevant keywords in your target market, on your preferred channel.